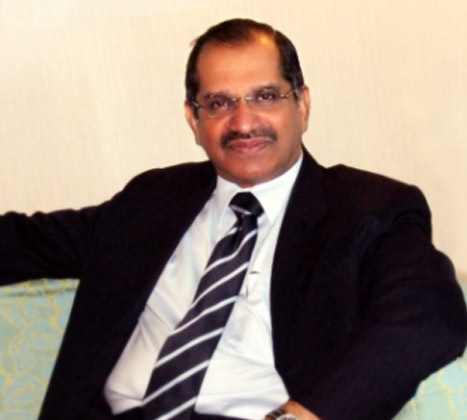 George Mathew, a Chartered Accountant by profession and the Chairman and Managing Partner of George Mathew & Co, Chartered Accountants in Oman since 1988, was the founding president of Indian School Darsait. His term extended from January 1994 to April 2000. During his long and successful tenure as the President of the School Management Committee, the school grew in the real sense that the student strength of the school rose from a paltry 127 to 1219. The staff strength also increased and he was instrumental in shifting the school from a small rented building in Jibroo to new purpose-built leased premises at Darsait to accommodate the growing numbers. This is the building that houses the present Senior school. 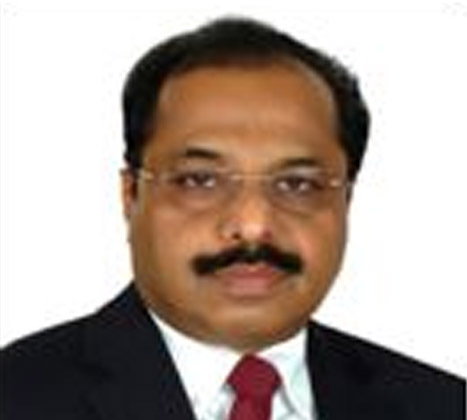 After having served in various capacities in the SMC, Mr. Abraham Mathew, an advocate from Kerala, active social worker and businessman, went on to become the President of the SMC in April 2000 and held the position till April 2002. His contributions towards the development of the school have been immense. It was during his tenure that the classes were upgraded from Grade 10 to Grade 12 and separate laboratories for Physics, Chemistry, Biology and Computer Science were set up. He was instrumental in initiating the procurement of the additional primary building on lease. Mr. K.S. 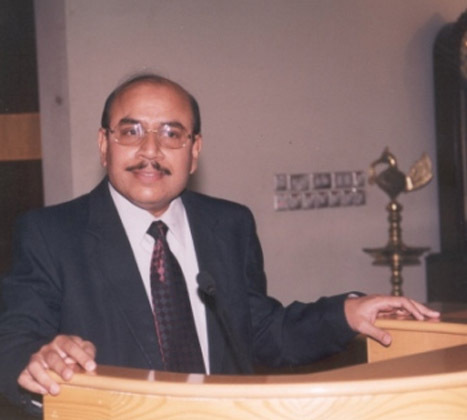 Visruthan, the Chief Finance Officer and Director, Member of the Senior Management team of AA Group of Catering Companies, held the position of the President of SMC from April 2002–April 2003. During his term, the Primary section including the Kindergarten moved into the present Primary premises. 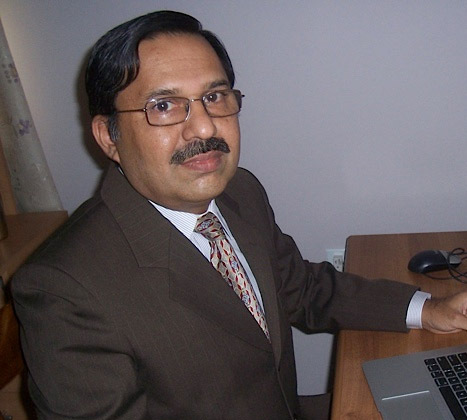 A very brief period between April 2003 and June 2003 saw Mr. Karmachandran, a Senior Consultant at ABC Consultants, at the helm of affairs. Yet another long serving president that the SMC had; was Mr. George Mathew (Vacha), the Managing Partner of Hussain Fadhil and Partners LLC. He worked in various capacities in the SMC initially for three years and then rose to the position of President in November 2003 and served a term of 5 years when he stepped down in June 2008. 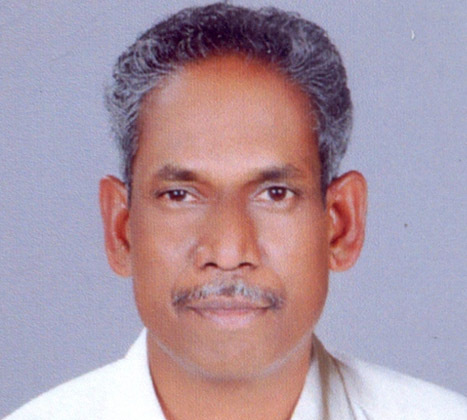 During his much-appreciated tenure, the school initiated a makeover from KSBS to CBSE. He was also instrumental in upgrading the senior IT laboratory. 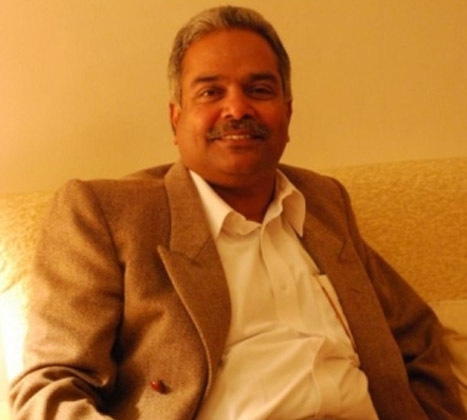 After joining the SMC as a member in May 2003, Mr. Radhakrishnan Nair, an architect by profession, served as the President of the SMC from June 2008 to May 2009. 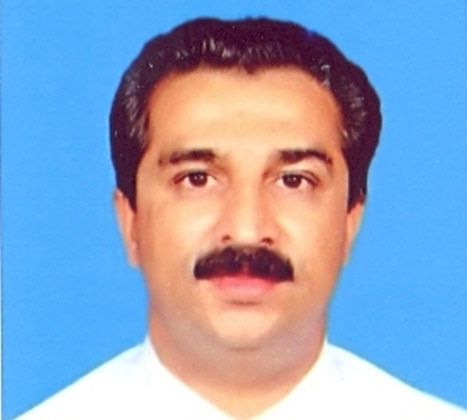 He initiated the e-School Management System and negotiation for procurement of the Senior School building. He also introduced a very useful scheme ‘Own a Laptop’ for the benefit of teachers and the enhancement of digital teaching. 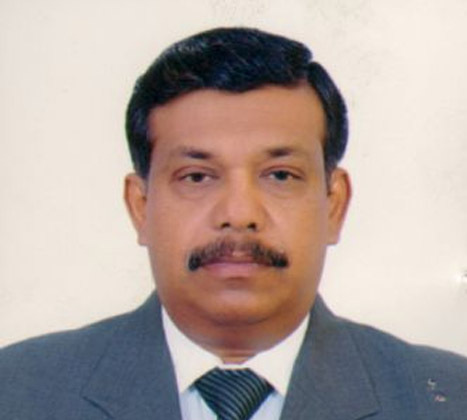 Mr. Ameer Ahamed, the Chairman and Group Managing Director of Manappat Group of Companies, was the president of the SMC from May 2009 to March 2011. He played a key role in the procurement of the Senior School building by negotiating with the landlord and signing the MoU. During his term as SMC President he also initiated the process of acquiring a new extensive land at Al Awabi near Al Ansab for setting up a new Indian community school. A very brief period from April 2011 to June 2011 saw Mr. E.J. John, the CEO of Gulf International Construction & Interiors Co. in Doha, Qatar holding the post of the President of SMC. 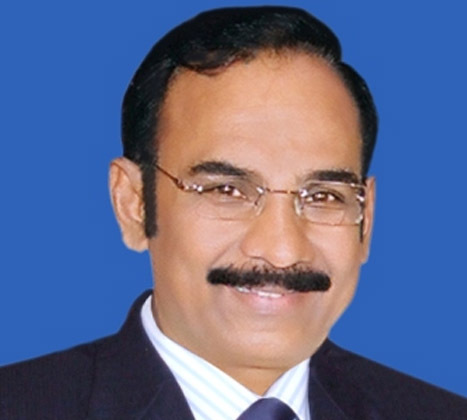 Mr. N. Omanakuttan, held the position of the President of SMC from October 2011–June 2014. 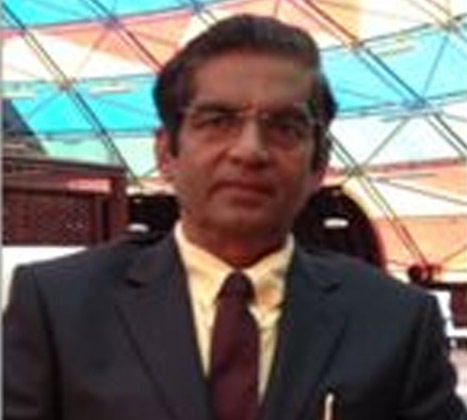 During his term, in line with the CBSE requirement that makes ICT enabled teaching–learning mandatory, Indian School Darsait has equipped all 72 classrooms with 46” LED televisions and white boards to facilitate digital instruction, to provide adequate exposure to digital materials, to motivate and sustain student interest, to reinforce learning, and to create a high-interest learning environment. Digitization of administration and academic work was implemented with the software package ‘Digital Campus’ which has established connectivity between the school administration, teachers, students, parents, alumni and external mentors through a common ICT platform. The school has received NABET accreditation and ISD is the first overseas school accredited to NABET. An additional land of 4980 sq.m received during his tenure as President, SMC. Three Carnivals were organized successfully with the help of SMC members, Parents, Staff and students for the infrastructural development of Indian School Darsait. 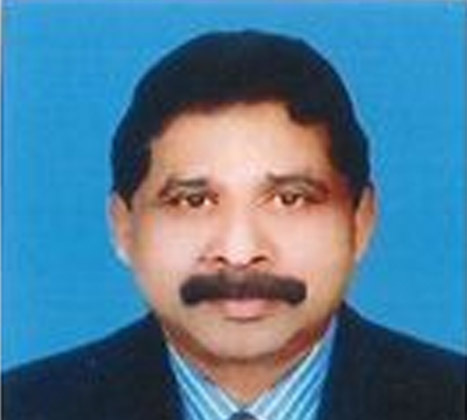 Mr. Abdul Rahim Kasim, the Group Managing Director of Badar Shipping, was the president of the SMC from July 2014 to June 2016. During his term as SMC President he initiated the school transport system and implemented in the year 2015. The school approved and monitored transport system is an unprecedented initiative taken by the SMC under the guidance of the BOD and the primary objective of this system is the safety and comfort of the children. It is my privilege to lead the SMC at a time when the school has entered its 20th year of service to the Indian expatriate community. In 1992, the school embarked on its journey as Kerala Board Syllabus Stream to fulfill the aspiration of a community to educate their children imbibing the cultural and traditional heritage that they treasured. Today, Indian School Darsait, a CBSE affiliated and NABET accredited school, is one of the sought after premium institutions that cater to the need of the wider expatriate Indian community. The school has always tried to live up to the expectations of its stakeholders. We provide excellent quality infrastructure facilities to students, comparable with what any good school may offer. The science laboratories, including Physics, Chemistry and Biology, are fully equipped and well maintained. In line with our overall ICT initiatives and e-learning facilities, our Computer Science labs are state-of-the-art and provide one computer per child. The school libraries, primary and senior, have a good collection of books of all genre, reputed newspapers and the latest informative magazines and periodicals. In line with the CBSE requirement that makes ICT enabled teaching–learning mandatory, Indian School Darsait has equipped all 72 classrooms with 46” LED televisions and white boards to facilitate digital instruction, to provide adequate exposure to digital materials, to motivate and sustain student interest, to reinforce learning, and to create a high-interest learning environment. Digitization of administration and academic work with the software package ‘Digital Campus’ has established connectivity between the school administration, teachers, students, parents, alumni and external mentors through a common ICT platform. T he use of Digital Campus has increased the efficiency and skill of the staff. The entire processes and procedures of the school like, admission procedures, entry of library books, daily attendance, entry of marks, result processing and analysis have been made easy and effective. The software will now enable parents to easily access online, data like status of fee payment of their wards, profile of their wards, lists of their wards’ teachers and the grades and remarks obtained by their wards in scholastic and co-scholastic areas. Since the ultimate aim of evaluation is to bring about qualitative improvement, it should be a continuous process in order to improve the teaching-learning process. This essence of Continuous and Comprehensive Evaluation (CCE), implemented by CBSE, has been imbibed in its spirit and translated into day-to-day teaching learning activities of the school. Our school was one of the first schools to have incorporated CCE into its scholastic and co-scholastic areas and since then has been following this system of evaluation in its true sense. The vision of the school is ‘to be the most preferred Indian community school in Oman.’ Towards this end, the school has been constantly striving to accomplish its mission to provide the best environment for children to enjoy learning, to empower children to unravel their potential so as to excel in different fields of their choice, to empower teachers to impart quality education to mould children into responsible individuals of society, and to provide opportunities to children for the all round development of their personality and to instill values in children to mould them into global citizens. The growth of the institution depends on its ability to go beyond the set standards and benchmarks and therefore the school decided to go for a Quality School Governance Standard. This was realized through National Accreditation Board for Education and Training – Quality Council of India. Today, Indian School Darsait can boast of being the first CBSE School outside India to be accredited by the National Accreditation Board for Education and Training – Quality Council of India (http://qcin.org/nabet/) through accreditation no. IS 1216 040. The accreditation will definitely aid the school in conceptualizing national curricular objectives, strengthening the school governance, enhancing teaching–learning process and making evaluation methods more effective. On the occasion of the Silver Jubilee Year of the school, I would like to applaud the staff, students and parents for their sincere and dedicated service for the betterment and growth of the school.